Please leave message for the colors you like in the order. 1. This servo horn has been modified to use the aluminum 6061 T6 for better strength and durability. 2. Multiple positioning holes design allowing different angles of setting suitable for different players. 3. 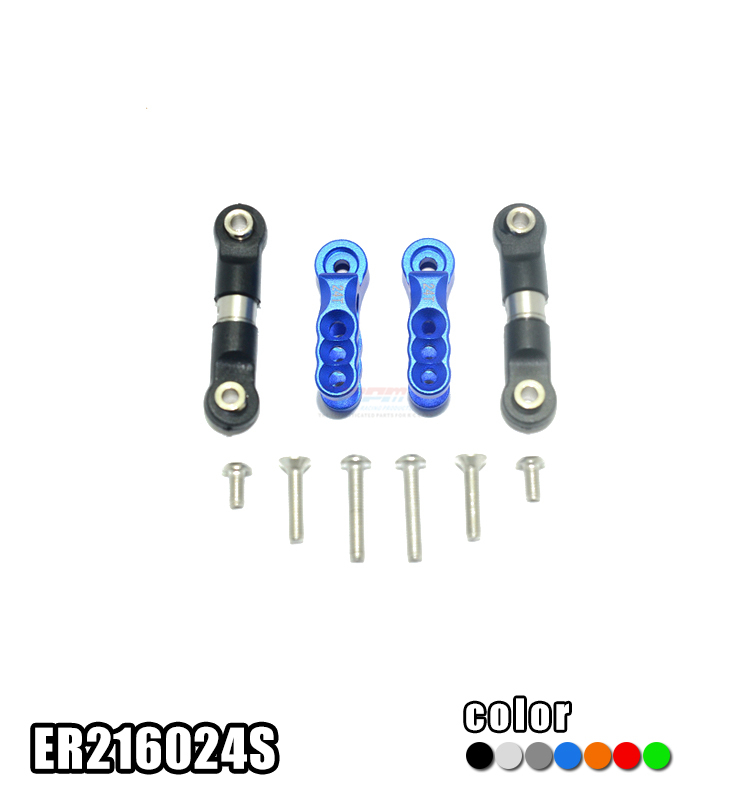 The tie rods are upgraded to stainless steel for better strength and perform more powerful turns. 4.The tie rods are designed to be adjustable, easy to plug and play. Not suitable for orignal 25T servo horn.